The Piedmont Chapter Color Guard is the most visible public face of the Piedmont Chapter.Color Guardsmen provide an easily identifiable and colorful focal point at educational, historical and patriotic events, as well as parades,awards ceremonies, flag retirements, community and memorial activities. 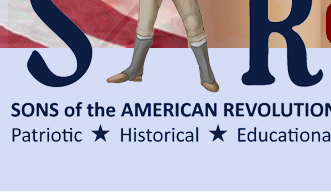 The variety of uniforms and flags invite children, spectators, participants,and potential members to come forward to ask questions about the American Revolution, the Sons of the American Revolution, and the Piedmont Chapter. 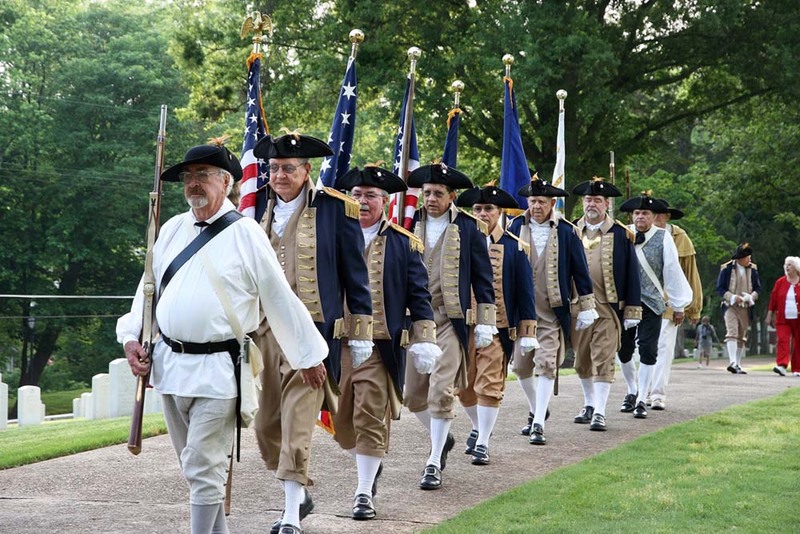 The Piedmont Chapter Color Guard is made up of those Compatriots who regularly attend SAR meetings and eventsuniformed as Continental Soldiers, Militiamen, or Kilted. Members have taken extreme care for their uniforms and equipment to be as historicallycorrect as possible so as not to compromise the spirit of the Revolutionary era. Several members of the Color Guard also participate in theChapter's Speakers Bureau and give presentations to school and community groups while in their Color Guard uniform. Some members of the Color Guard are Black Powder (BP) participants who fire their muskets at special events,and are also members of the Georgia Society's elite Elijah Clarke Militia. As descendants of our country's very first veterans,the members of Piedmont Chapter are committed and actively involved in serving those who have served us.The Chapter is honored to be just one of three in the Georgia Society to have representation on the Atlanta Veterans Affairs Medical Center's(VAMC) Voluntary Services Council, and that representation has been headed by a Piedmont member the past three years. Piedmont Chapter is also proud to haveone of its members serve as the Georgia Society Veterans Committee Chairman, and on the Atlanta Veterans Advisory Board. Recognition for chapters providing exemplary service to veterans is provided by a number of NSSAR programs. The USS STARK Memorial Award was createdin 1988 to memorialize those brave men and women who continue to stand at the forefront to preserve the freedoms our patriotic ancestors fought so longand hard to achieve. Its purpose is to recognize outstanding Chapters for their overall effectiveness in serving our nation's veterans. The Piedmont Chapterwas recognized nationally by being awarded the USS Stark Memorial Award by the NSSAR in 2000, 2001, 2002, 2004, 2005, 2006, and 2007. In 2012, 2013,and 2014 the Piedmont Chapter was the leading Chapter in the Georgia Society and was awarded the Society's Brigadier General Robert L. Scott, Jr. Veterans Award. The NSSAR's William C. Westmoreland Award is awarded annually to one SAR member for his service to veterans. A Piedmont member was the very first recipientof that award in 1996. The Service to Veterans Medal can be awarded to SAR members who make significant contributions within their Chapter's veterans program.Since the Chapter's founding in 1994, there have been 26 Piedmont members awarded the Service to Veterans Medal, and there have been an additional20 Oak Leaf Clusters presented for that medal. A number of Piedmont members are veterans and they have been awarded either a SAR Military Service Medal, or a War Service Medal for their service to our country.In addition, those who served in World War II, the Korean War, the Vietnam War , and the Persian Gulf War have been presented a SAR Certificate of Patriotism for serving in the Armed Forces of our country in an armed conflict. Members of the Piedmont Chapter have been generous and caring in their support of veterans. 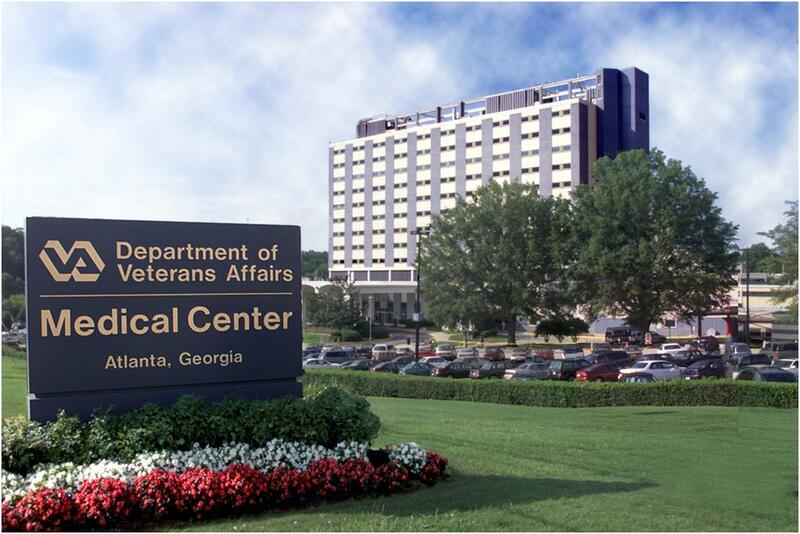 In 2012 when it was learned that the Atlanta VAMC issuesa pair of socks to newly admitted patients and to homeless veterans the Chapter responded by establishing its "SAR Socks for Vets" program.Since 2012 the Piedmont Chapter has donated to the Atlanta VAMC over 4,500 pairs of socks. The Chapter has also donated 2,500 books and magazines,and over 2,600 personal care items, in addition to a significant number of member volunteer hours. We encourage our members to donate the above itemsat our monthly chapter meetings, and to volunteer their time to VA hospitals or other VA approved Volunteer Services activities. Chapter members, along with members of the Chapter's Color Guard, have made presentations of its "A Revolutionary Christmas" program and a special"Constitution Day" program to the patients at the VA's Nursing Home. Framed copies of the Declaration of Independence and the United States Constitutionwere presented to the VAMC and to the VA Regional Office for public display. SAR Flag Certificates were also awarded to the VAMC and the VA Regional Officefor their proper displaying of the American Flag. The Chapter's annual November chapter meeting is proclaimed, "A Salute to Veterans" with special presentations, awards, and guest speakers.The 2014 "Salute" featured Guest Speaker Thomas Grace, Associate Director of the Atlanta VA Medical Center. In 2013 a special presentationof the prestigious SAR "Outstanding Citizenship Award" was made to the Delta Air Lines Honor Guard and its members for its honoring of our nation's Fallen Heroesas they pass through Atlanta's Hartsfield-Jackson Airport on the way to their final resting place. The Piedmont Chapter's commitment to serving and honoring our nation's veterans is given a high priority and we are proud of our success in maintainingand expanding that commitment. Please complete this Report frequently and submit to the Veterans Committee Chairman.Your reporting of your activities is crucial for the Chapter to receive proper credit for the USS Stark Award. 2004 Lawrence W. Maurer, Jr.
2006 Frank H. Darwin, Jr.
2011 Paul Grady Moss Jr.
2011 Wallace W. Boyce, Jr.
2015 Garnett Lane "Jack" Ferguson, Jr.